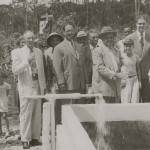 When the first settlers arrived in Sosúa, especially in the Batey area, there already were some electric and water systems in place which had been constructed by the United Fruit Company. 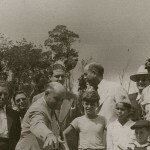 Electricity was supplied by a power plant from Puerto Plata with relay stations along the way, such as near Montellano, and a main relay station located in the Batey. 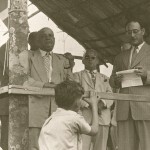 Wooden posts held the electric wires which carried electricity to homes in the Batey, and eventually to homes in other outlying areas such as Laguna, Bombita and Atravesada. Natural disasters such as storms, the occasional earthquake, as well as the overloading of transformers, would cause interruption of services. Settlers paid DORSA for electrical services and DORSA in turn paid the power company in Puerto Plata which included, of course, all the commercial use of electricity. After Sosúa became a municipality (Municipio) in the 1960s, it began to generate its own electricity. By the 1970s, factories such as the CILCA, and eventually, individual homes, had diesel-driven emergency generators in cases of loss of power. Water for Sosúa came from various sources, dependent upon the location. The Batey received its water from Río Sosúa, where an aqueduct gathered and sent the water to the Batey and to most of Laguna. 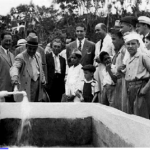 With the increase of Sosúa’s population and commercial needs, wells were dug to supplement the water supply but these, especially those in the Batey, were often not very usable due to the salinity of the water. 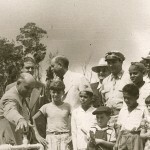 There were several electrically powered pumps to move the water to various locations – for instance, the pump located on Camino Llibre where the hill started and which helped bring water to homes on Camino Llibre. This pump was well known for the peculiar whining sounds it made. Wells and pumps supplied water to other areas such as Bombita and, at one time, windmills used to extract the well water, dotted the farming landscapes around Sosúa. 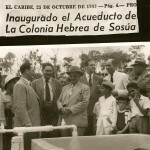 Originally, water in some areas was free, but eventually, as DORSA had to invest in new plumbing, the planning and digging of new aqueducts and new machinery for pumps. Thus, DORSA began to collect fees for water. After Sosúa became a municipality, plans were made to combine the waterworks with other areas and bring all under one agency.